One day in June, 2000, my darling friend and virtual sister Petrina and I went on a shopping expedition to get some cosmetic luxuries. With those came a free make-up session at Chanel. I don’t think either of us, before or since, have been plastered with quite as much make-up as we were that day. It was a fun thing to do together and had to be commemorated with some photobooth photos, of course! 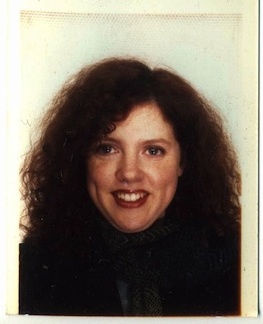 This has to be my favourite Photoweigh image and also one of my all-time-favourite photobooth photos. The reason I particularly love this image is that it reminds me of the wonderful comic character created by Rowan Atkinson, Mr Bean and his best friend Teddy. Teddy is Mr. Bean’s teddy bear and perhaps Mr. Bean’s best friend. Mr. Bean often pretends Teddy is alive and he is often privy to Mr. Bean’s various schemes. I wonder what relationship the young man in the booth photo had with his bear, and what might have prompted him to take him to the booth for a photo? He looks a bit too old to be playing with a teddy bear, so perhaps it was taken to entertain a young child? 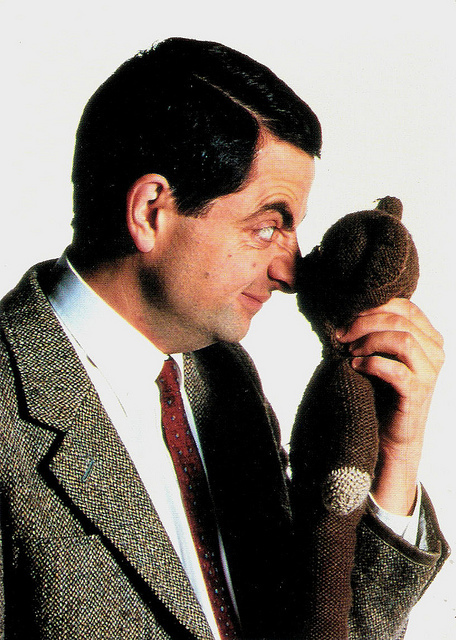 Rowan Atkinson as Mr Bean, with his friend Teddy. 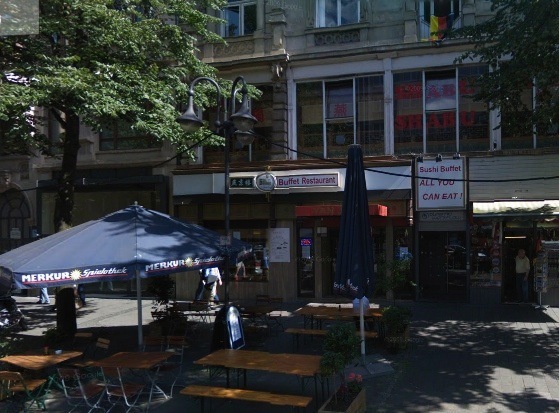 I had assumed that this Photoweigh photo was taken at a railway station in Frankfurt but on Googling the address Kaiserstr 67 (full address Kaiserstraße 67 60329 Frankfurt am Main – see picture of location as it looks today, below) found that it is part of a shopping street. Where the booth once stood is now the Yan Jing Chinese Restaurant. More Photoweigh photo examples from the UK and Germany can be seen here, along with a detailed history of the booths written by David Simkin of Sussex PhotoHistory. Another blogger of vintage photographs, Richard Overy, has found some wonderful examples of other Photoweigh photos from the UK from Barry Island. The links to those photos are below. I would also encourage you to explore more of Richard’s found photo blog for more interesting old photographs. My darling sister Susie still has a few days left in Australia before her return to her home in Dublin. Above is one of 10 photobooth strips we have taken so far on this visit. Four of the strips are colour digital ones and 6 are from a black and white chemical booth. This series of photos was taken at my closest photobooth which is in Frankston, Victoria. On the day these were taken, we were there to see the film Guardians of the Galaxy (we both loved it) and to buy Sue’s favourite sweet treat, peanut butter dream bars. 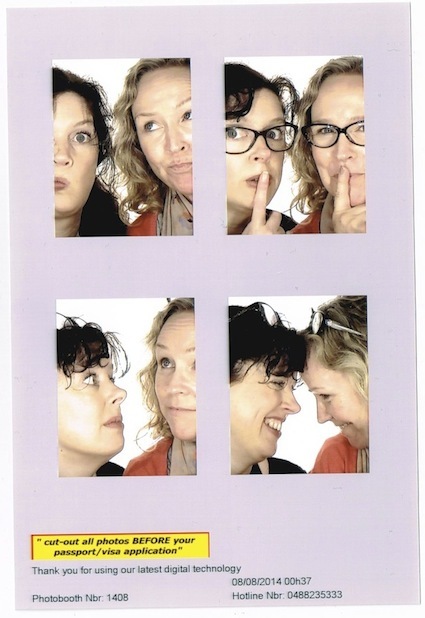 There was also the need for a photobooth adventure, as per my obsession, which Sue very kindly indulges. 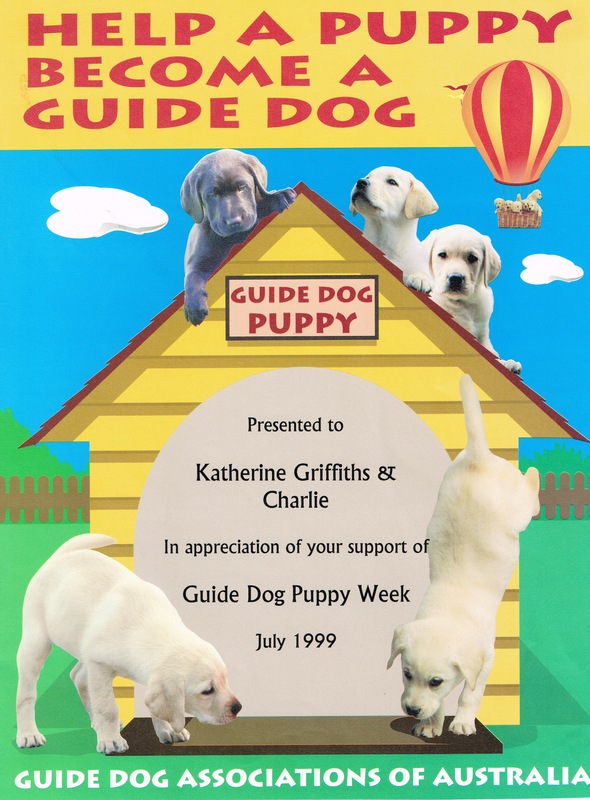 One of the best aspects of having been a Guide Dog of Victoria puppy raiser was the ability to go anywhere with your dog, including restaurants, shops, the cinema and all public places animals would not normally be allowed. I took this photo strip on the first day that my first graduate, Charlie, came to Melbourne University with me. I was studying for a Post-Graduate Diploma in Education. 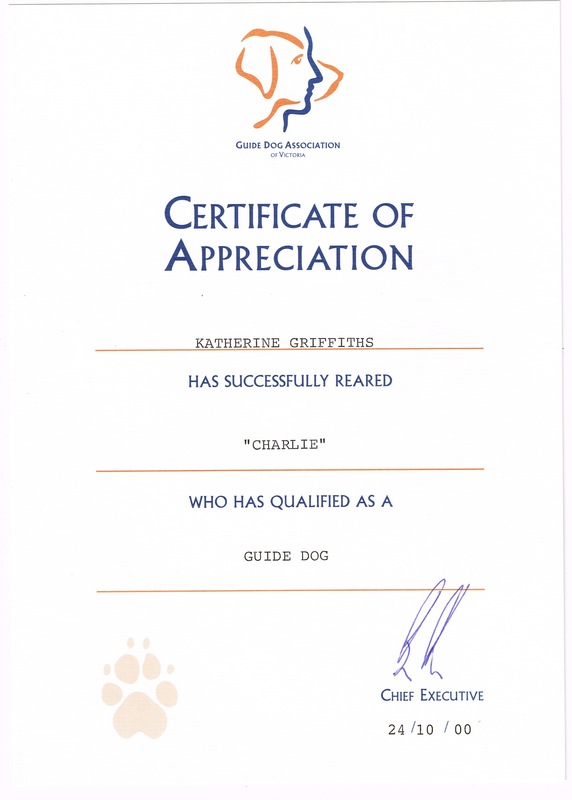 The Guide Dog Association is always very appreciative of the work volunteers do for them. Below are just two of the certificates they gave me during the three years I was involved with them. When Charlie graduated, I was given a mounted portrait of him in his official working gear. I took it out some time ago to show a friend, as I am very proud of having been involved in his success, but didn’t put it back where it was supposed to be and thus was unable to find it to show you for this post. It is a beautiful professional photo and Charlie looked very proud of himself, I can tell you. In this sixth instalment of this series, we have Donna looking very beautiful and all grown-up. These two strips were taken on the same day in 1972 at a beachside town, given the inscription on the back, which says Me at Beach 72. Donna looks so much older than in the last photos in the series, it is tempting to say this is several years after they were taken. However, I think there would have been no more than 12 months gap between the sittings, judging by the dates on some of the other photos from the album. For those of you interested to see “Lori” of the title of this series, the big reveal will be in the next post. Donna is photographed with many boyfriends and girlfriends over a period of 4 years from 1969 to 1973 in a large series of photobooth photos. To see the rest of the posts in this series, please click here. The film stars Russell Crowe, Al Pacino and Christopher Plummer. These photos come from my series Photobooth 41 Year Project. You can see all the posts that document the series by clicking here.